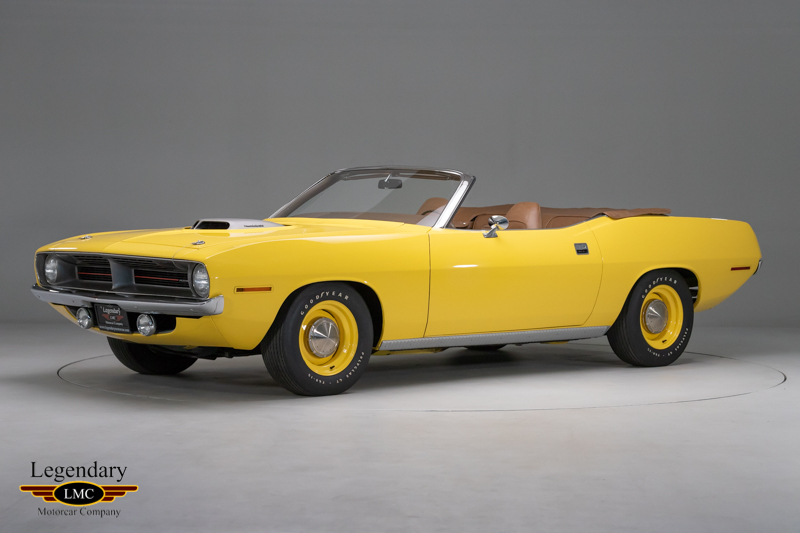 Considered by all collectors as the holy grail of Mopar muscle, a Hemi ‘Cuda Convertible is the most sought-after muscle car of all time. 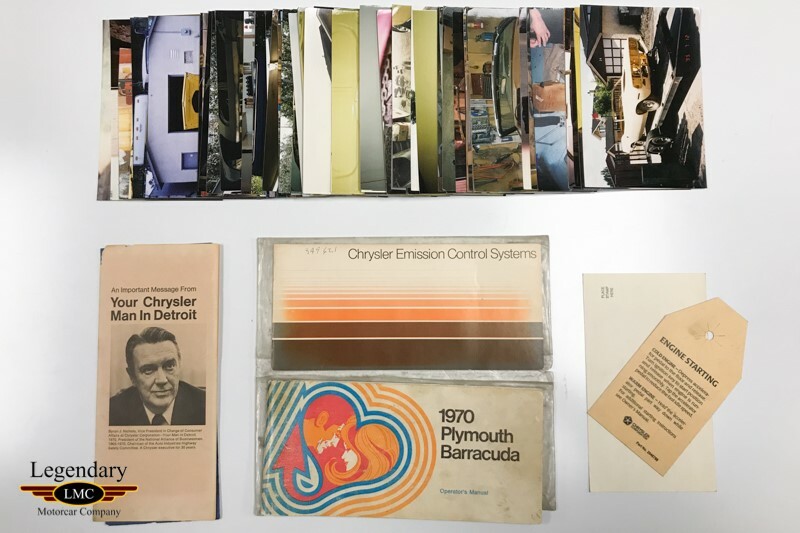 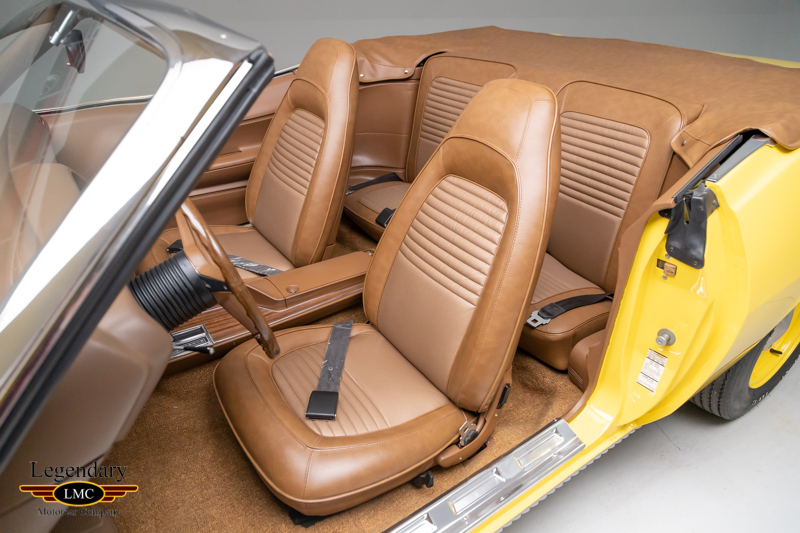 Like many notable extreme-demand vehicles, Hemi-powered Chrysler E-body convertibles were produced during a small window of time, 1970-71, and even then, in very limited quantities. 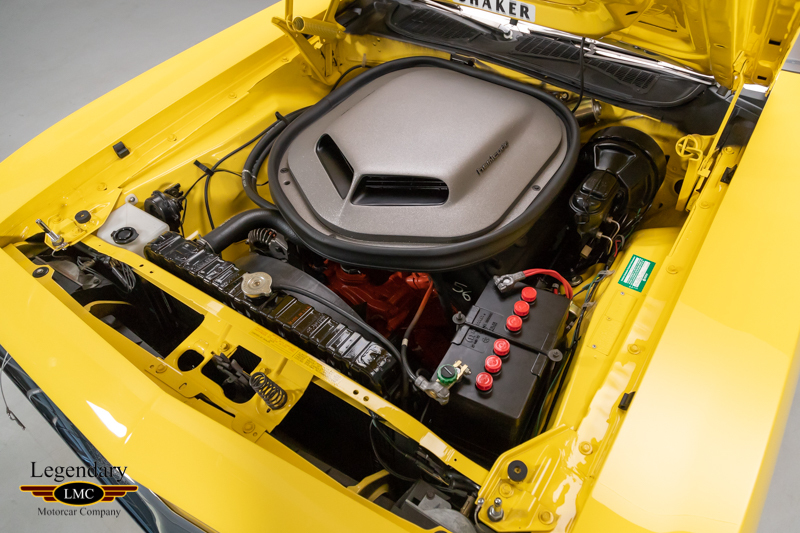 Today, a variety of factors have pushed these cars into the multimillion-dollar range. 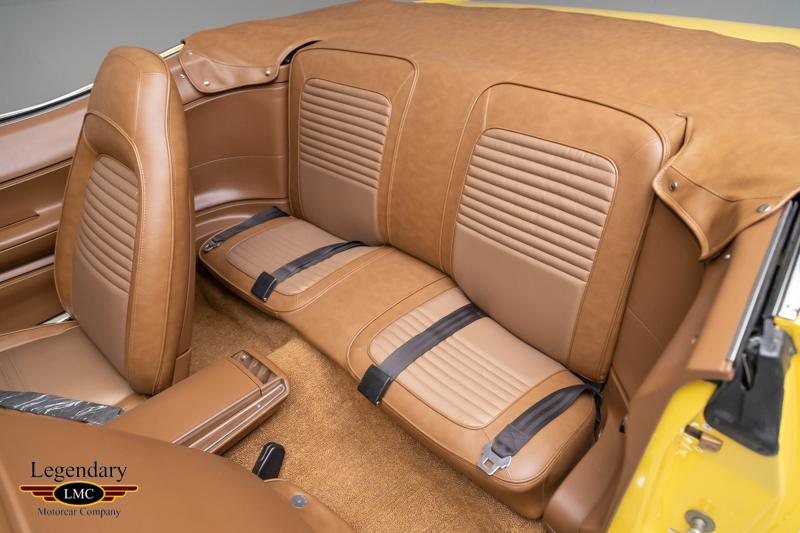 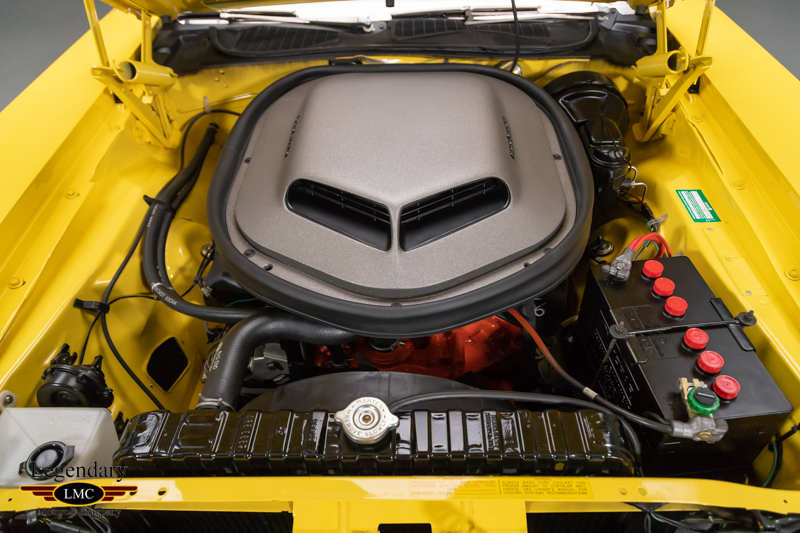 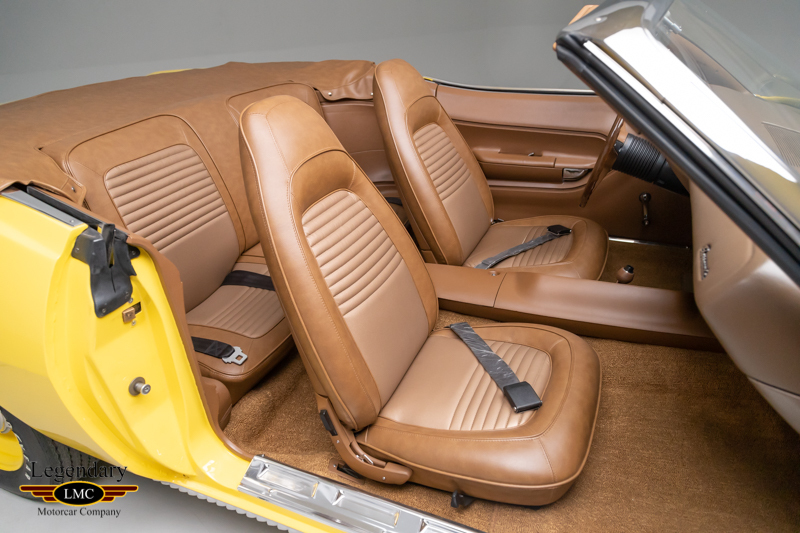 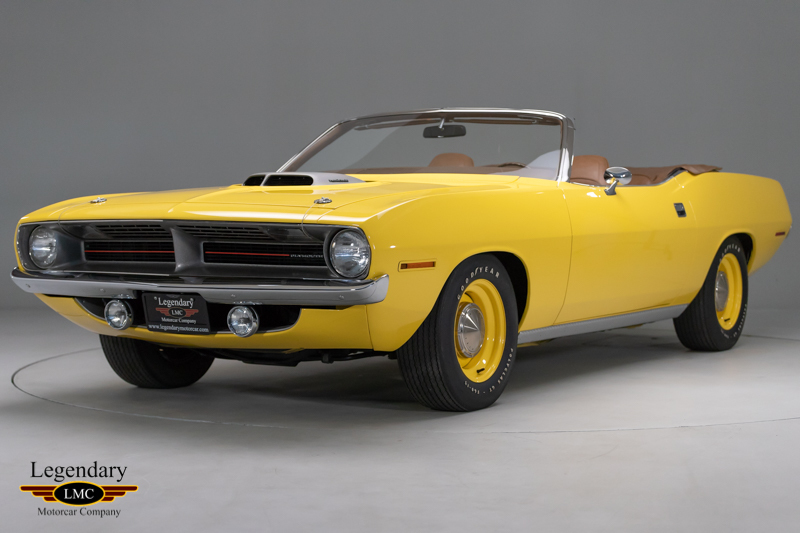 This Hemi ’Cuda convertible offered is a factory ordered car, complete with the most sought after factory high performance option E74; the legendary 426 HEMI engine. 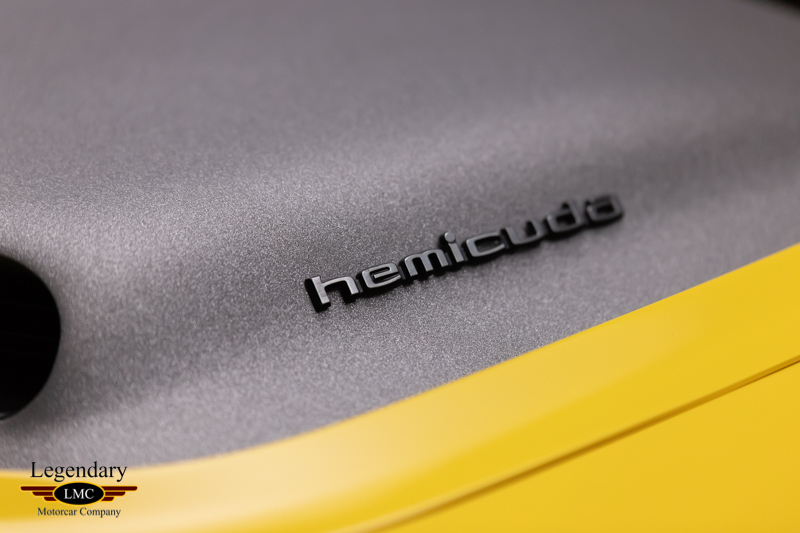 It is backed by an automatic transmission with high impact FY1 Lemon Twist paint, H6T5 tan interior and a black convertible top. 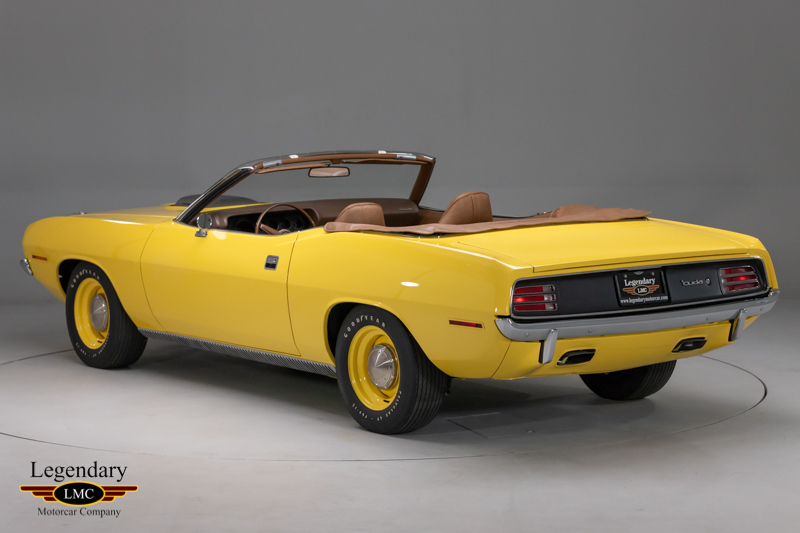 Other factory options included the following: M25 Body Sill Moldings, M31 Body Belt Moldings, M88 Deck Molding Treatment, N41 Dual Exhaust, N42 Bright Exhaust Tips, N96 Shaker Hood, V3X Black Convertible Top, B51 Power Brakes, C16 Console W/Woodgrain, C55 Bucket Seat, J45 Hood Pins and to complete the package the factory mandatory “shaker” hood. 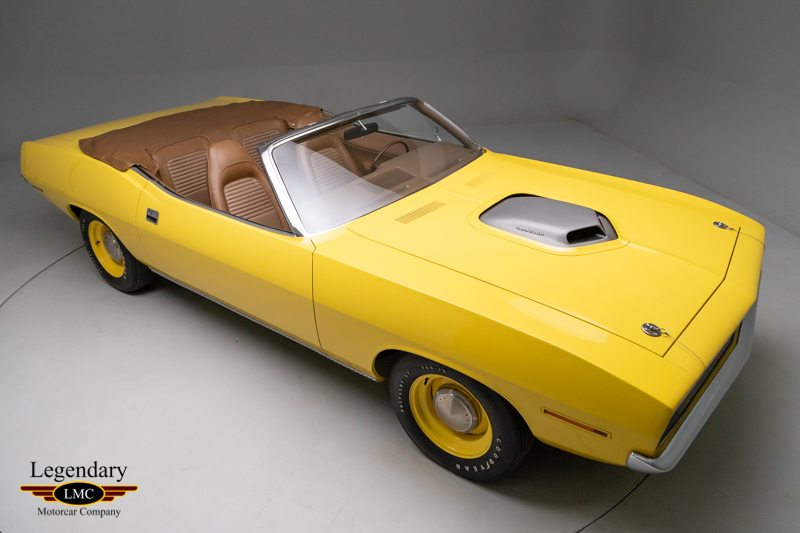 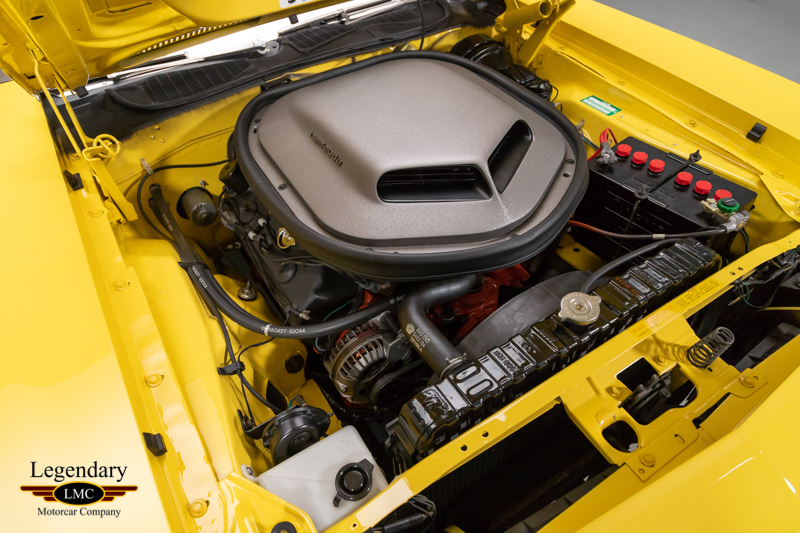 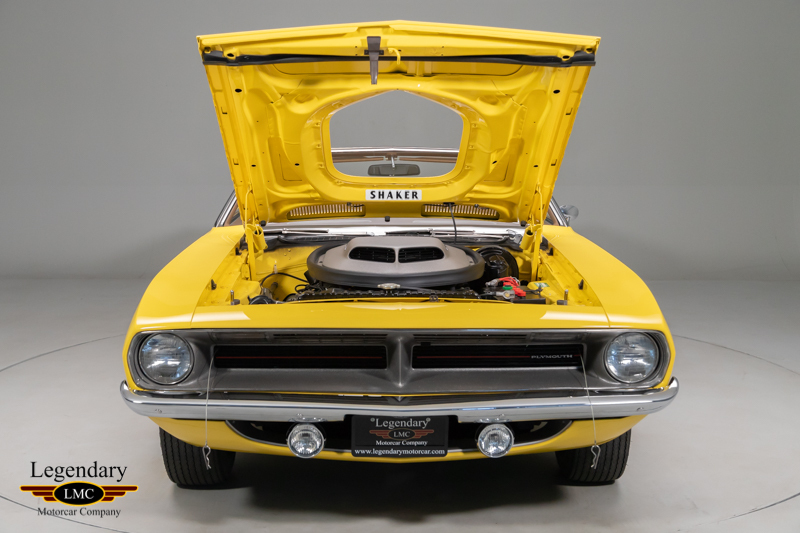 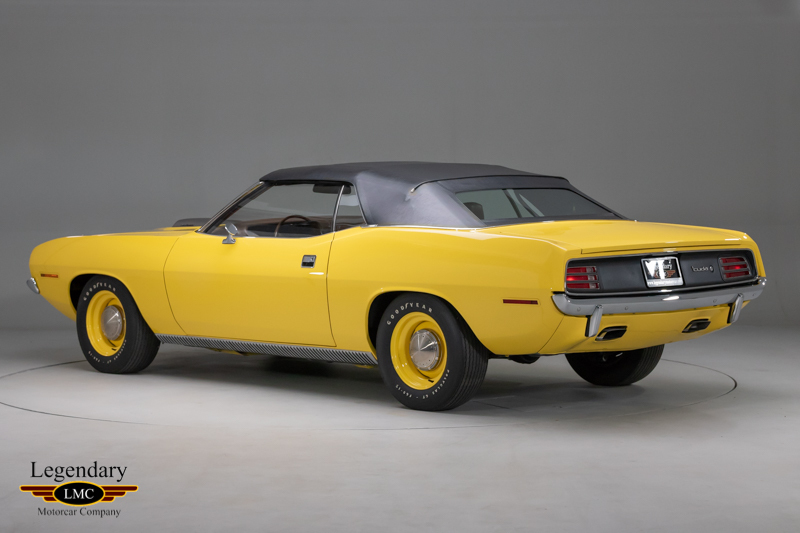 This factory FY1 Lemon Twist Hemi 'Cuda came to us about several years ago for a complete rotisserie restoration. 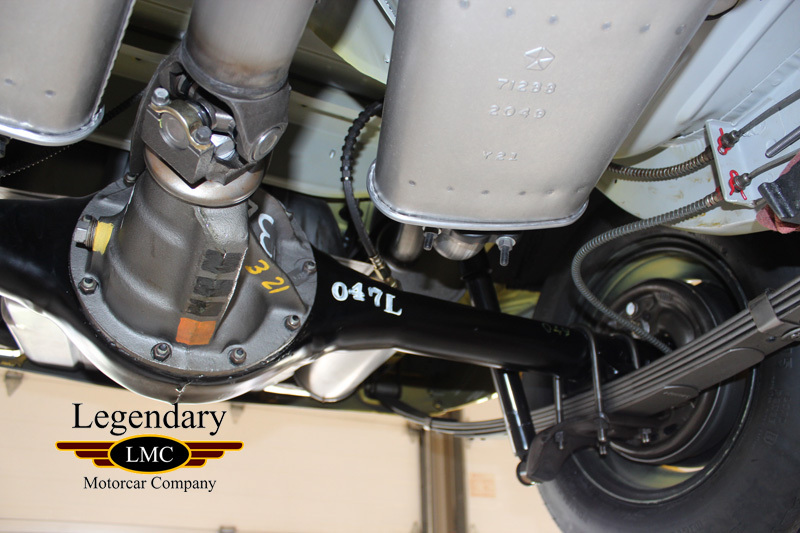 Recognizing its extreme rarity, it certainly warranted the effort. 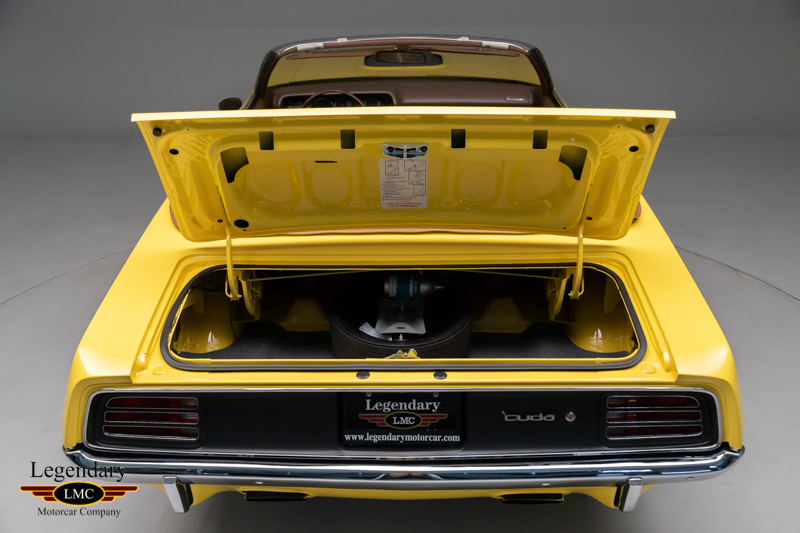 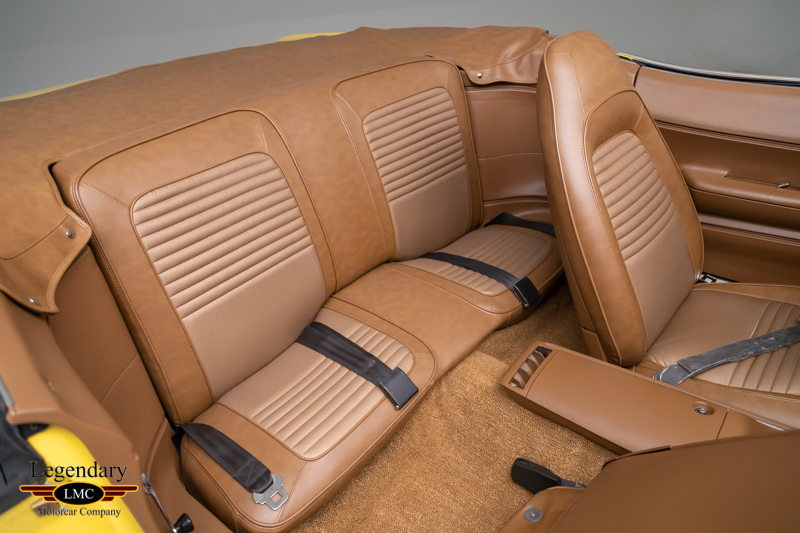 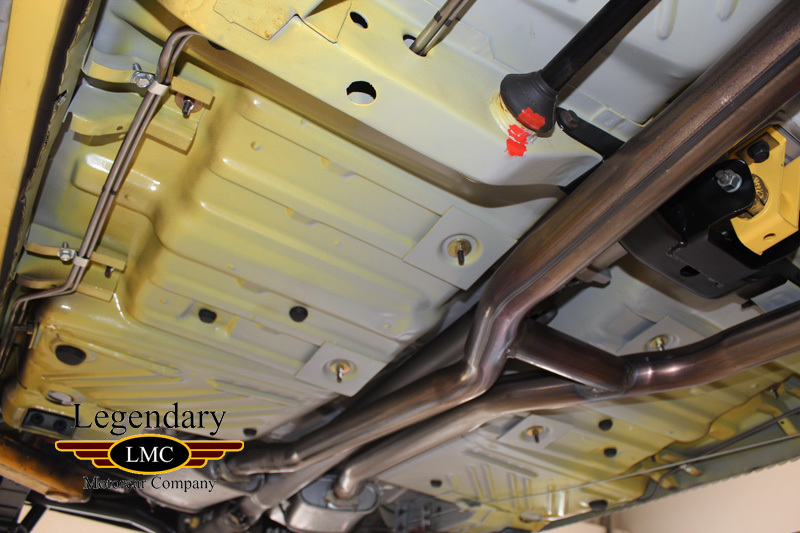 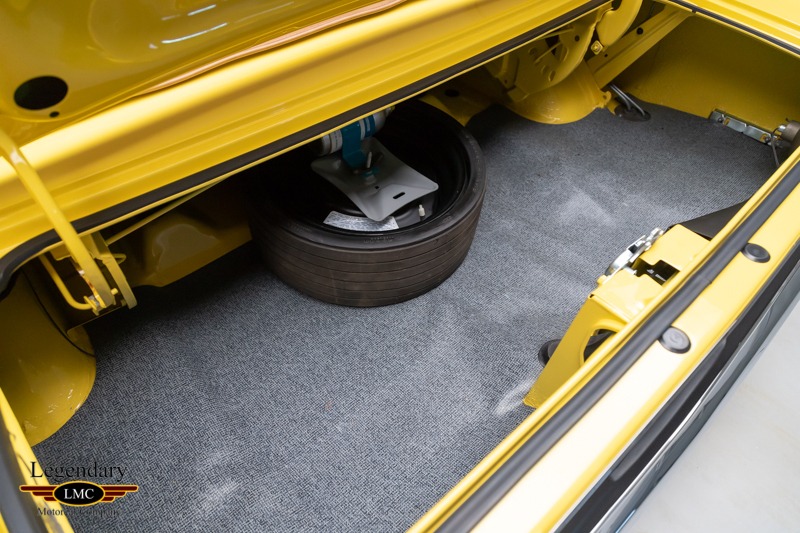 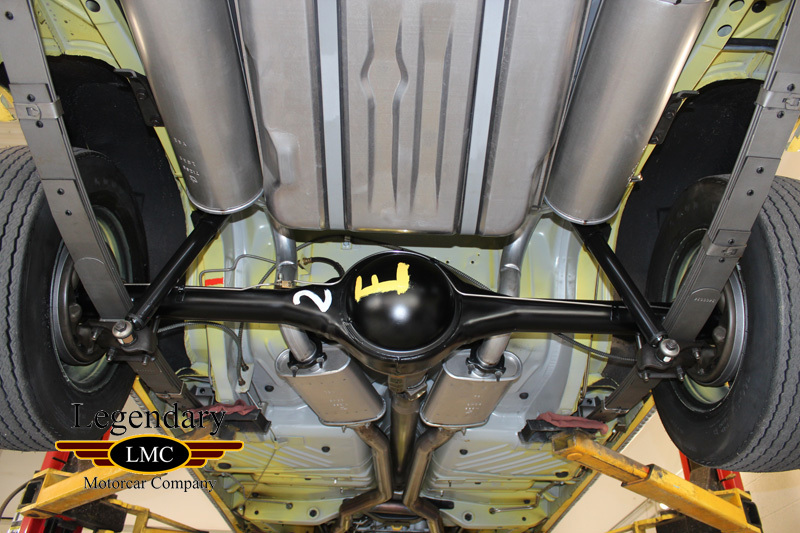 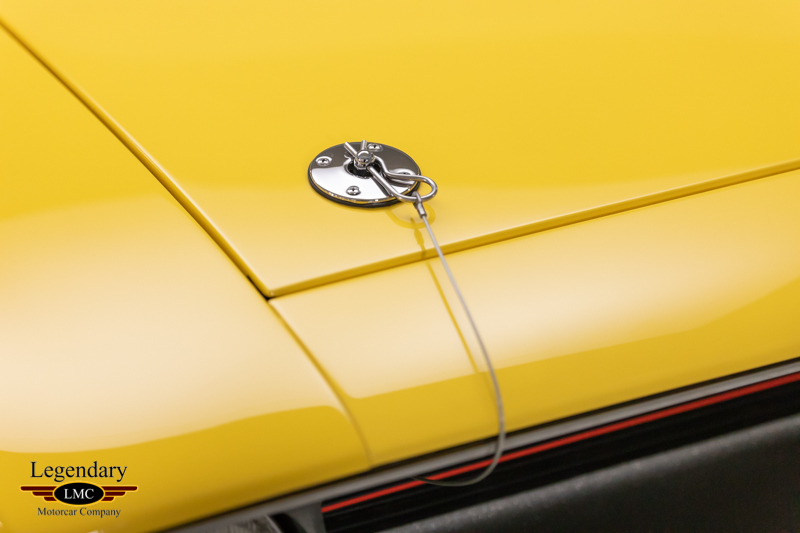 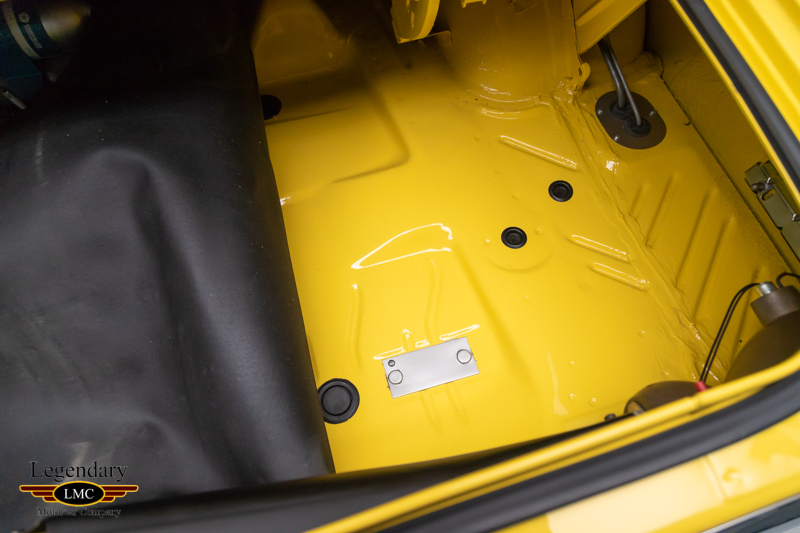 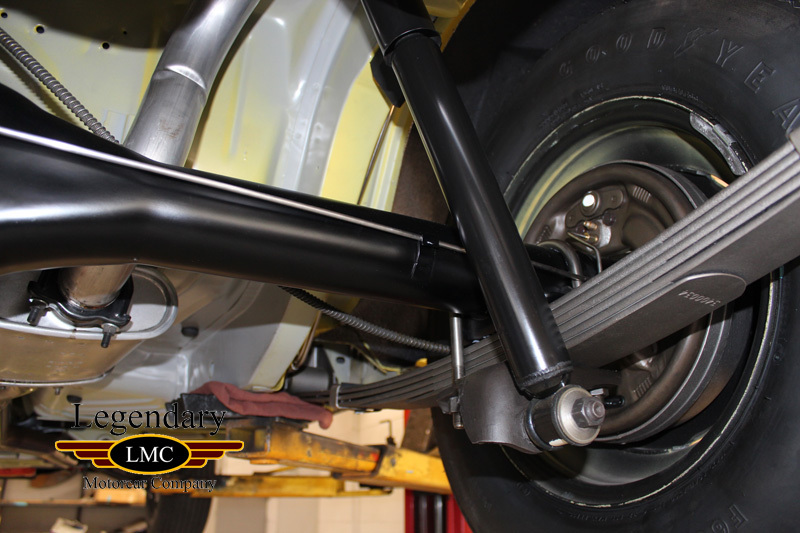 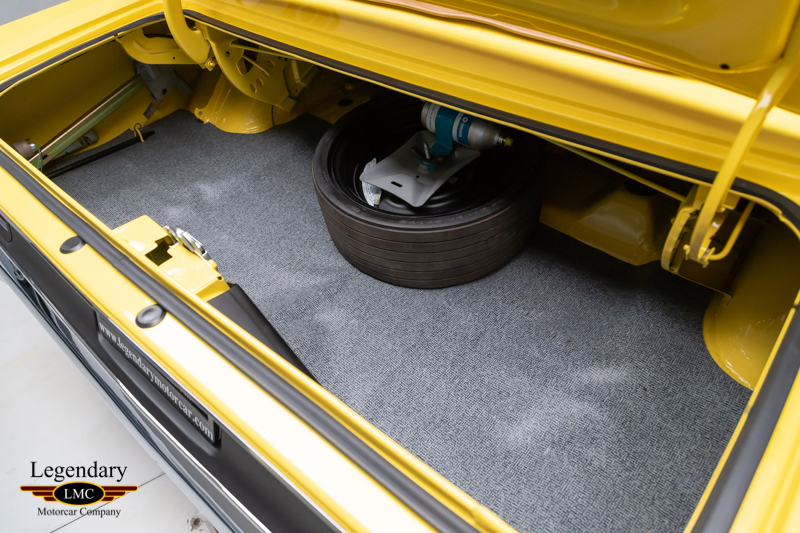 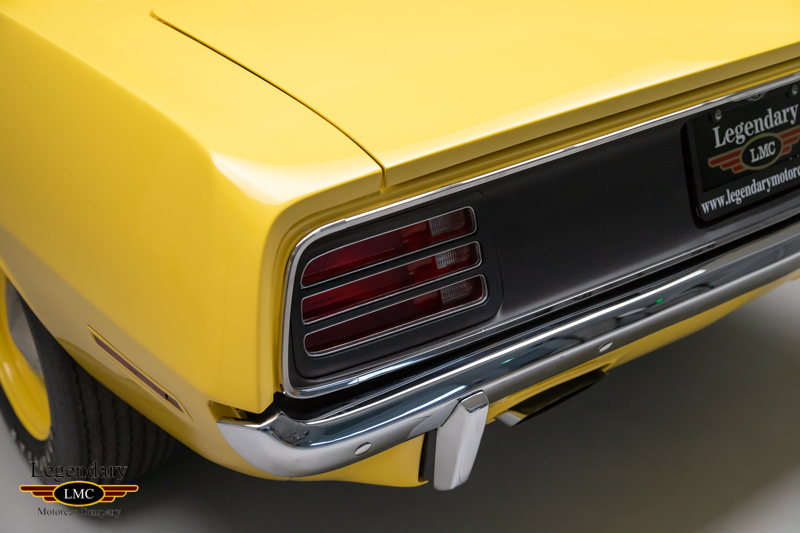 The team here at Legendary Motorcar stripped the body down to bare metal and refinished the components back to OEM style, paying close attention to how it was delivered from the factory. 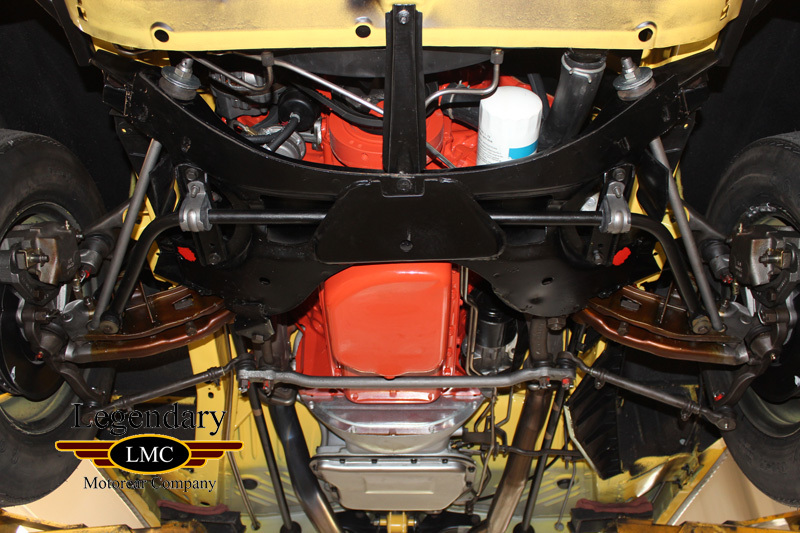 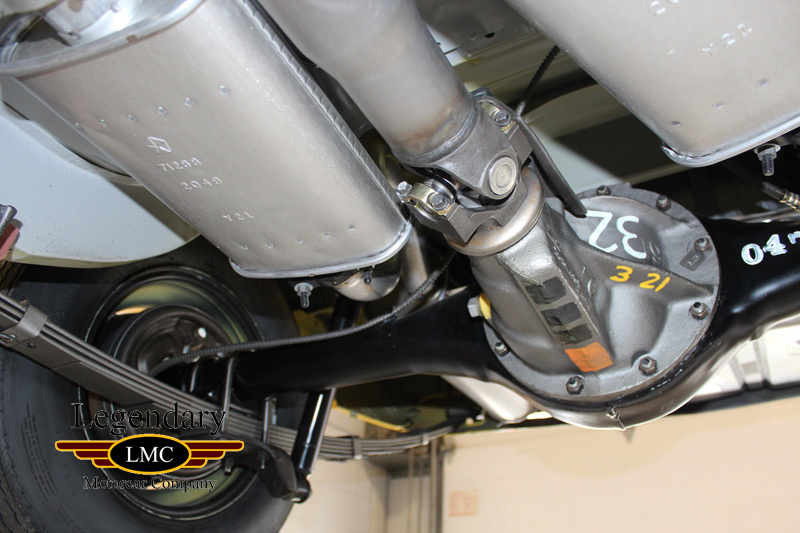 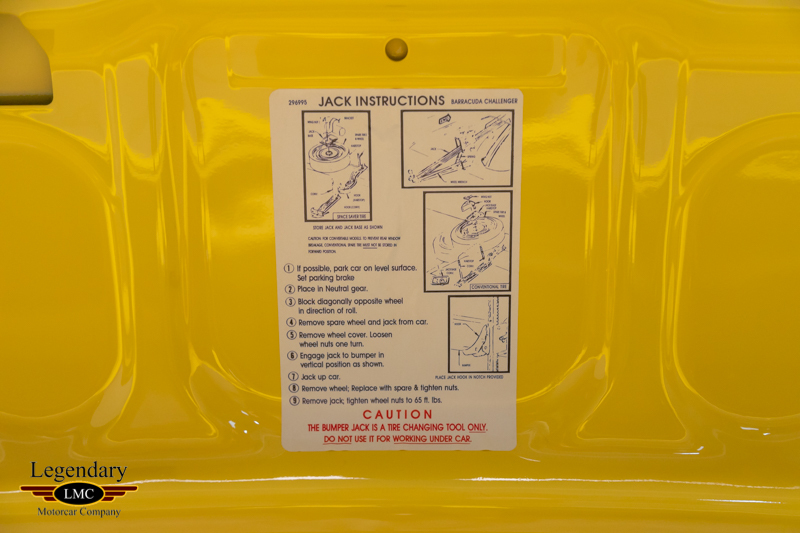 All the assembly plant production markings and tags are present and are correct throughout the engine bay and undercarriage. 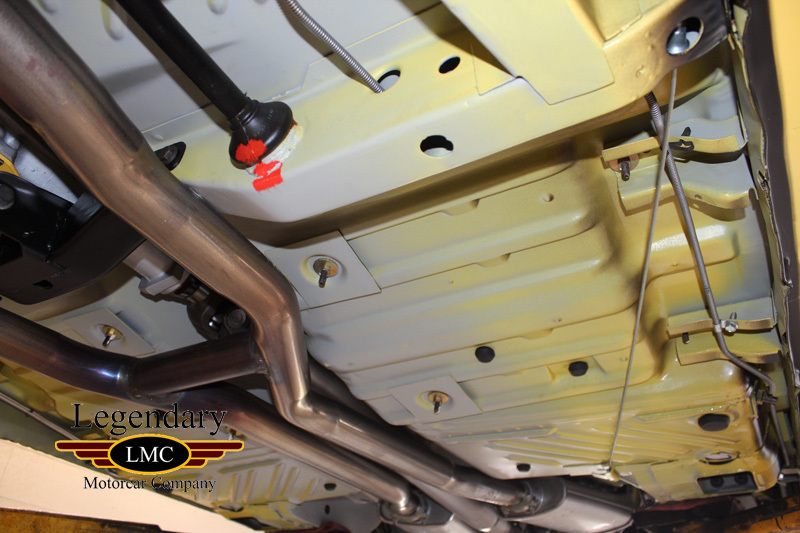 Every piece of chrome and stainless on the entire car has been triple chrome plated or polished to better than new condition with a great depth of shine. 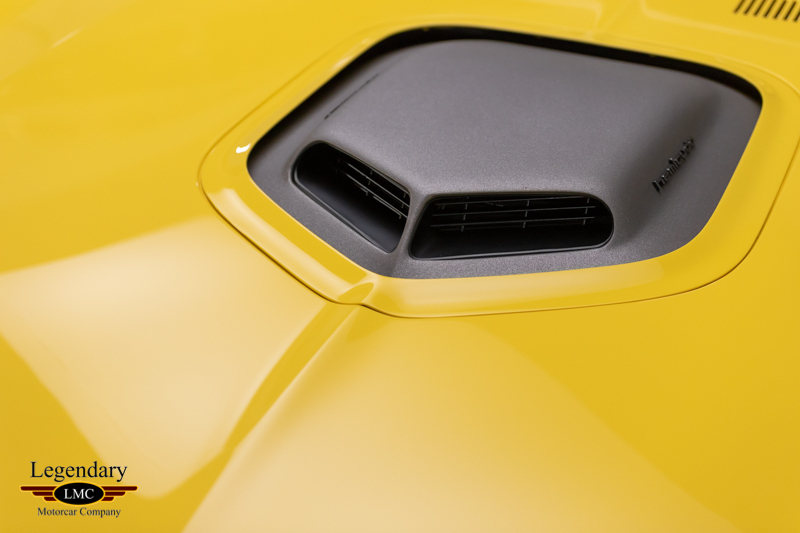 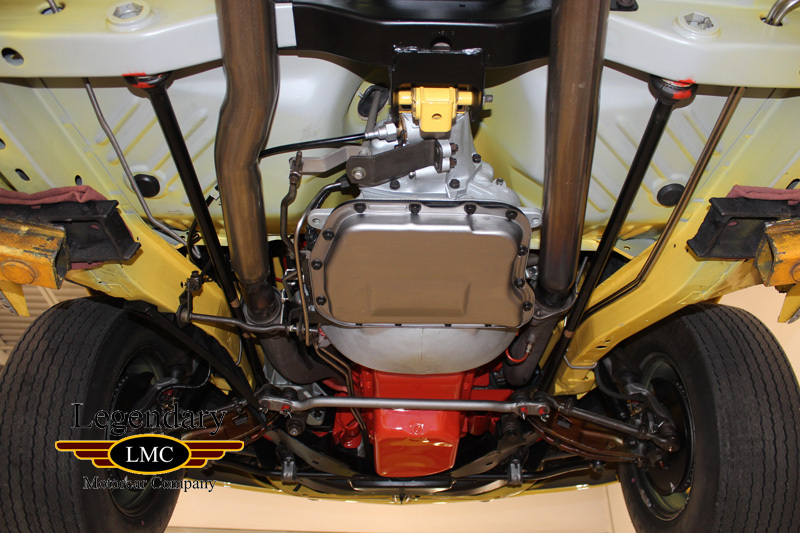 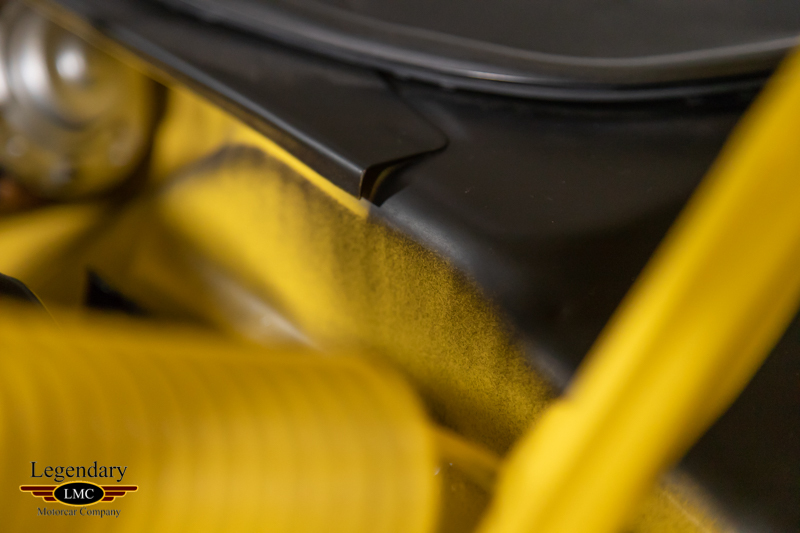 The factory high impact FY1 Lemon Twist paint has been wet sanded and polished to a show quality finish. 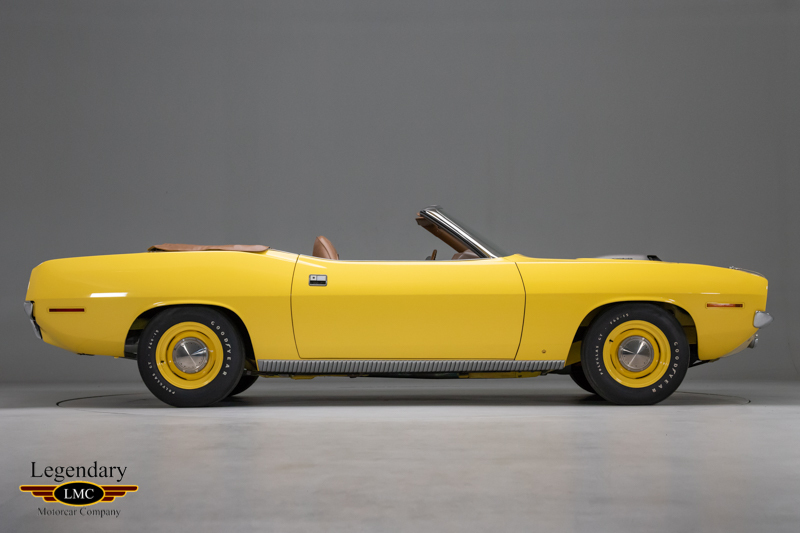 Due to its extreme rarity and restoration quality it was invited and shown at the MCCAN Mopar “E” Body Hemi Convertible Invitational which was the largest gathering of original factory built Hemi “E” Convertibles’ in history. 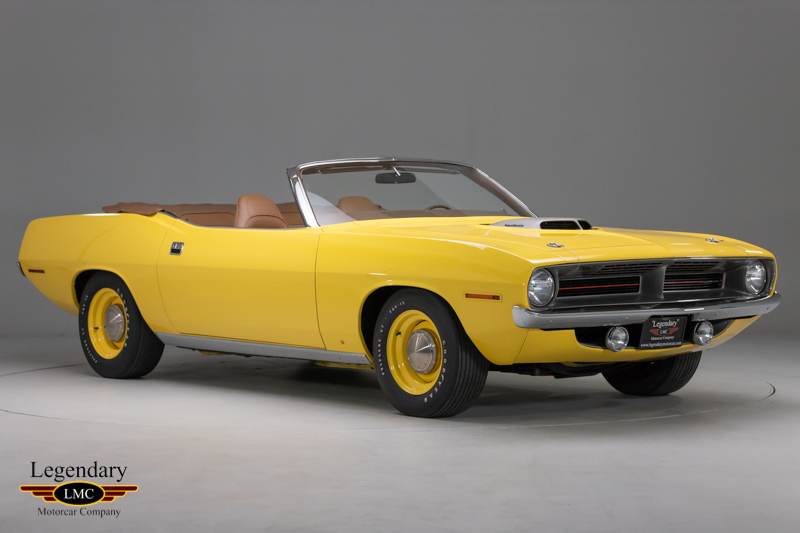 With only 18 HEMI ‘Cuda Convertibles in total ever produced in 1970, these cars are extremely desirable and even harder to obtain. 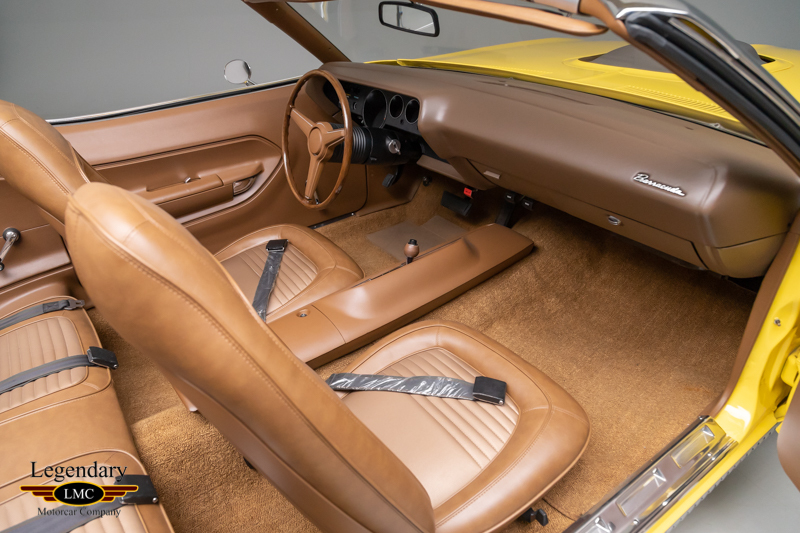 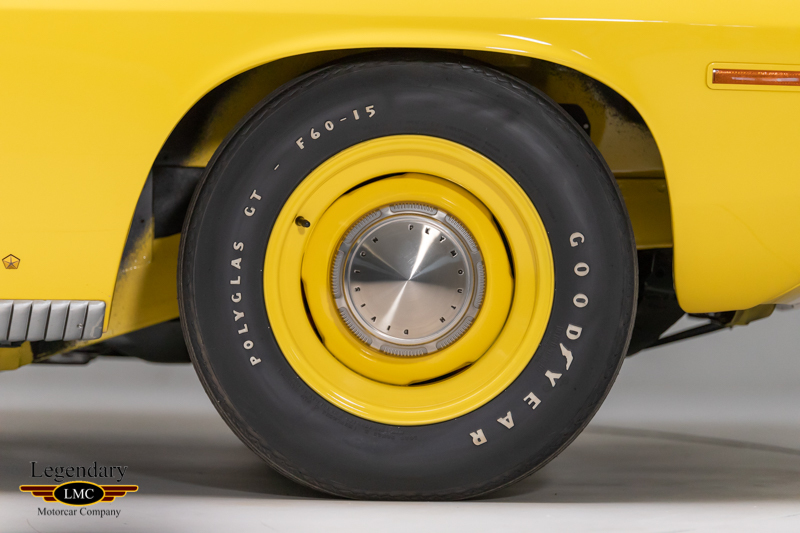 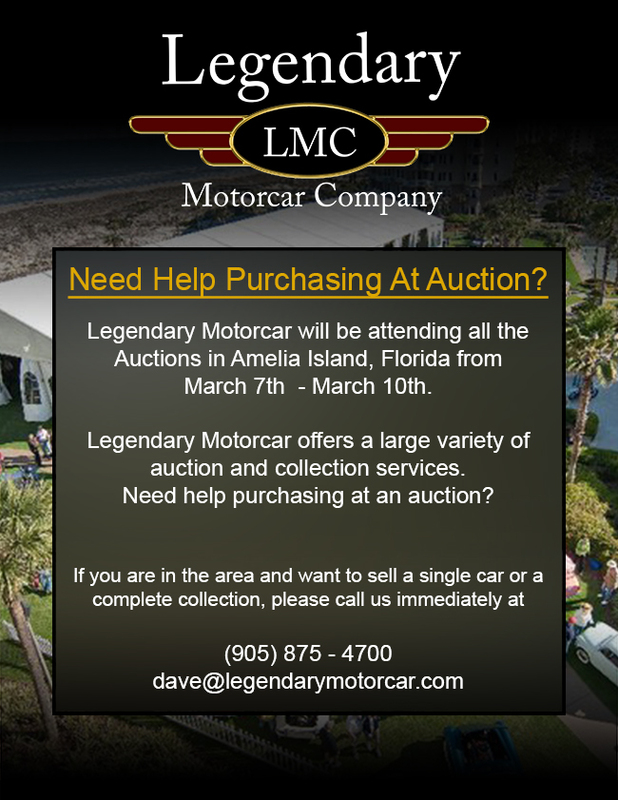 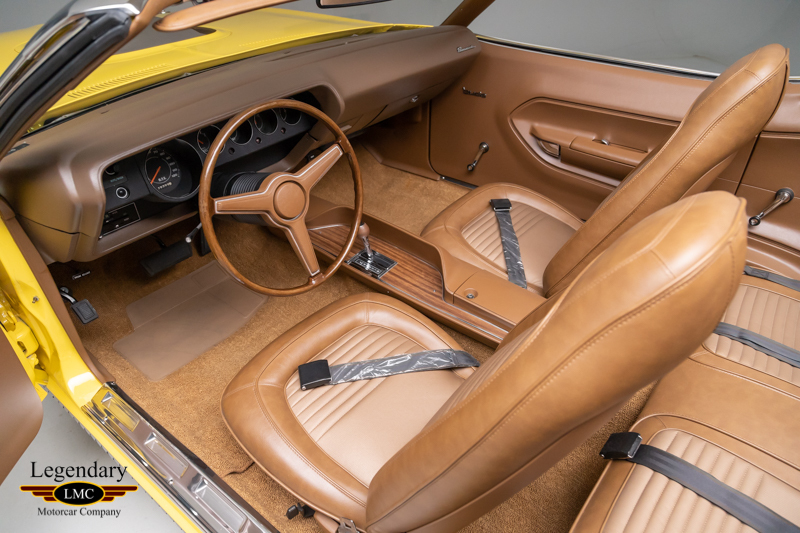 As most are in the hands of private collectors, it is very uncommon for one of these cars to be available to the general public. 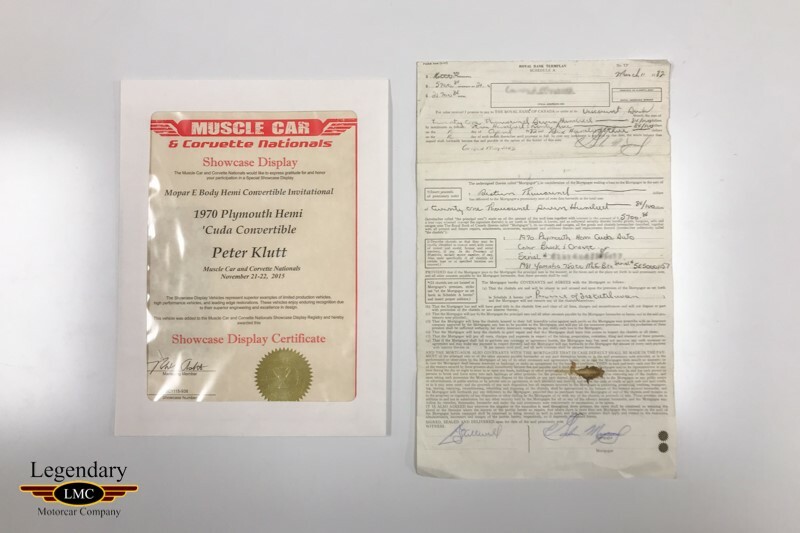 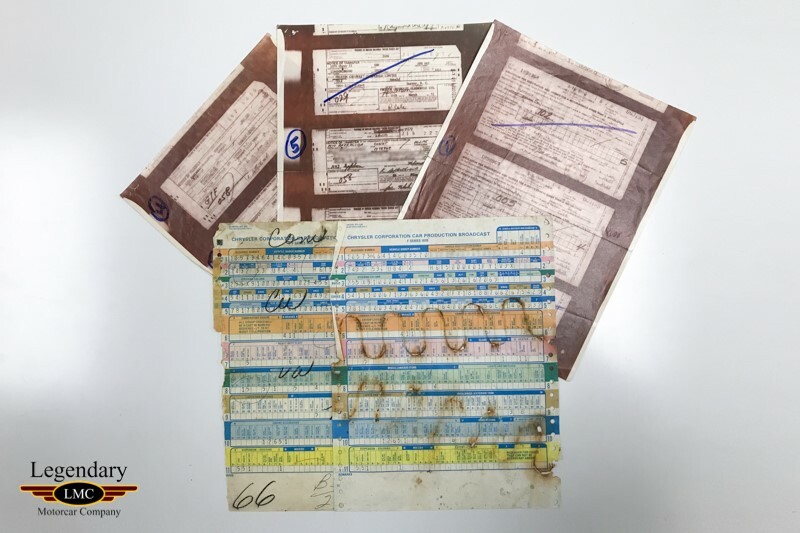 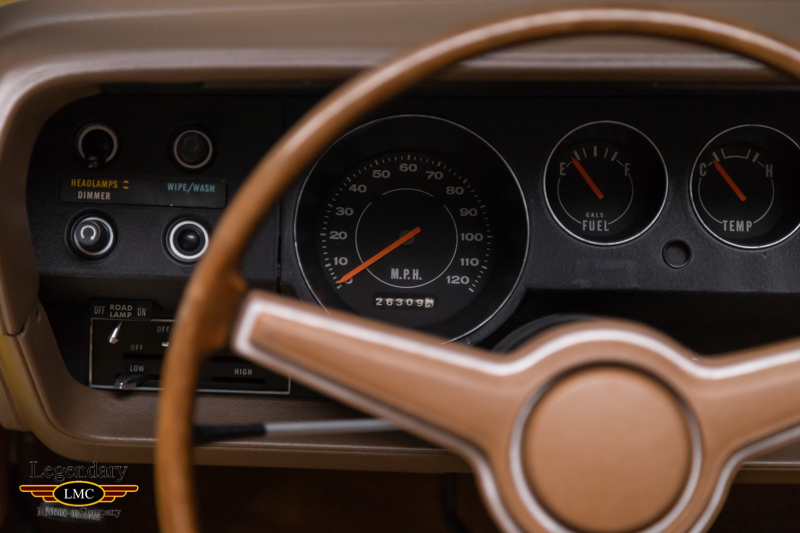 Along with the sale of the vehicle comes full documentation including; two broadcast sheets, known ownership history, owner’s manual, bank loan papers, restoration pictures and previous registration paperwork. 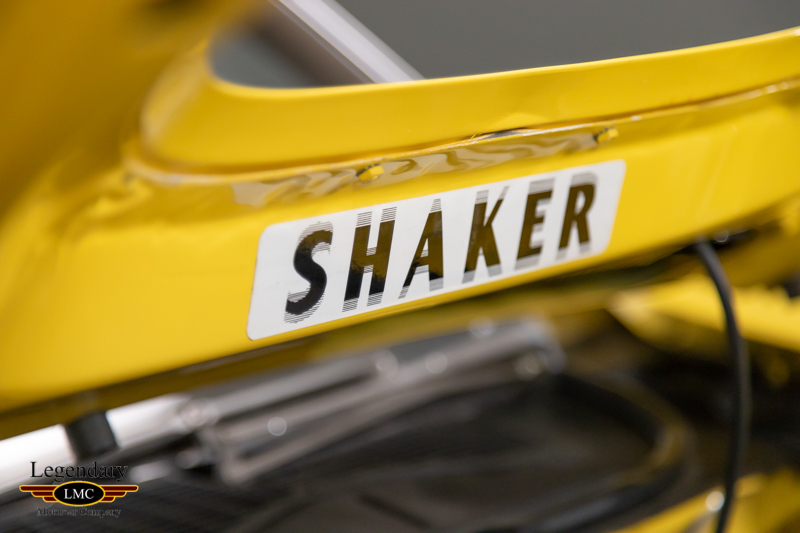 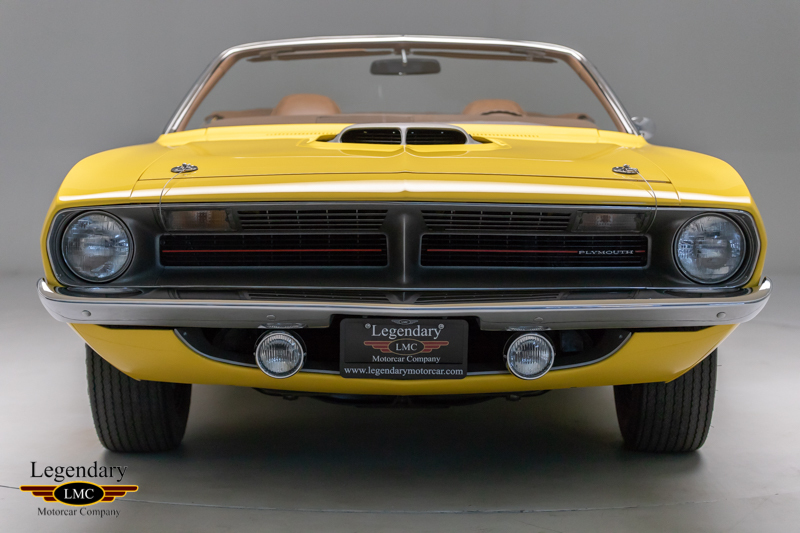 This offering presents an rare and unique opportunity to add the Holy Grail of Mopar muscle to your collection today. 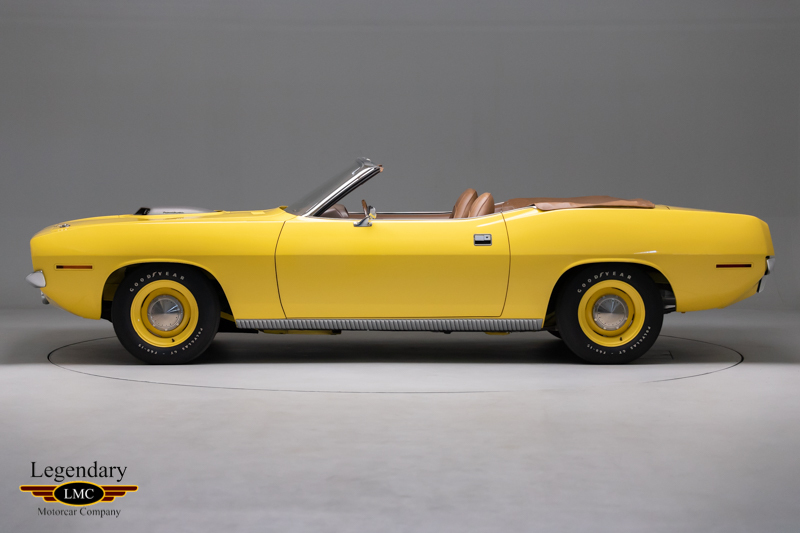 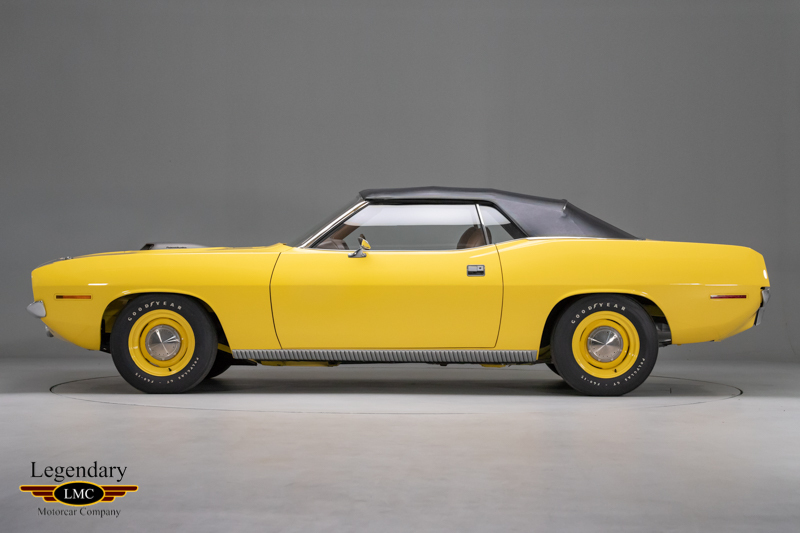 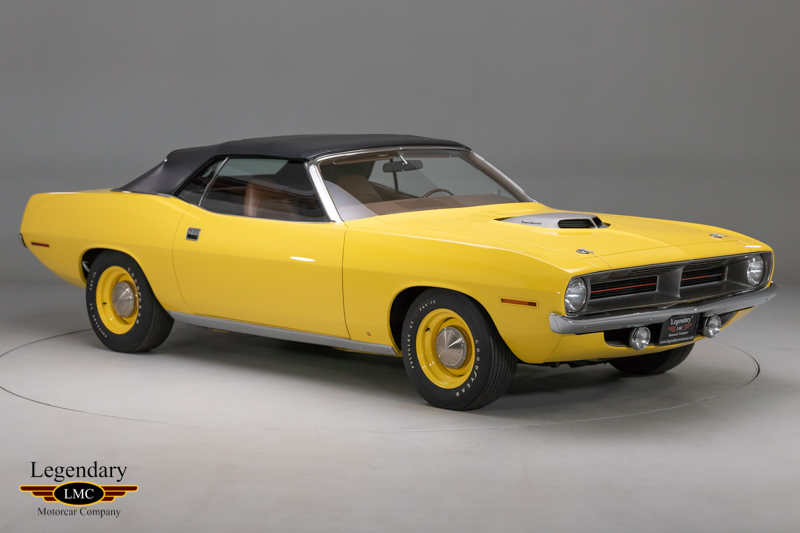 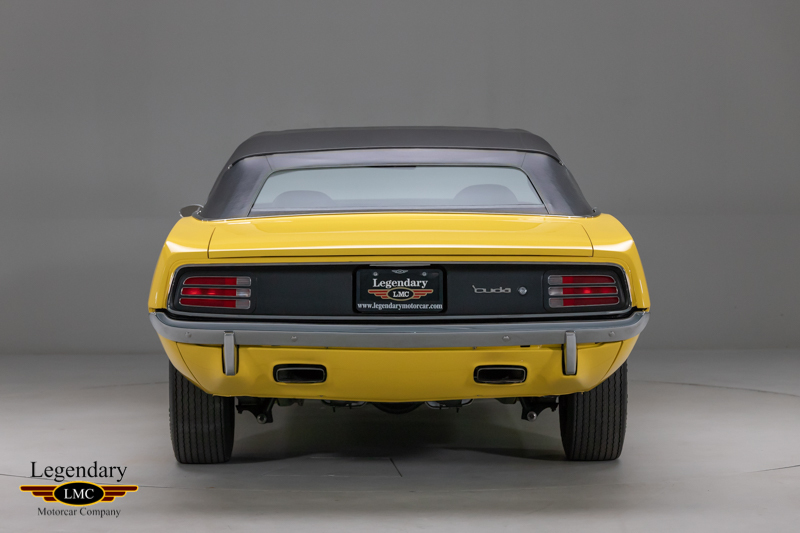 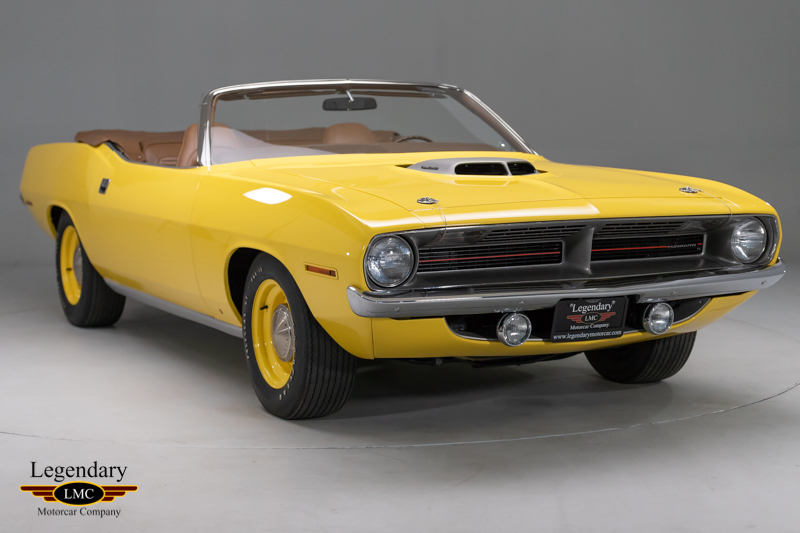 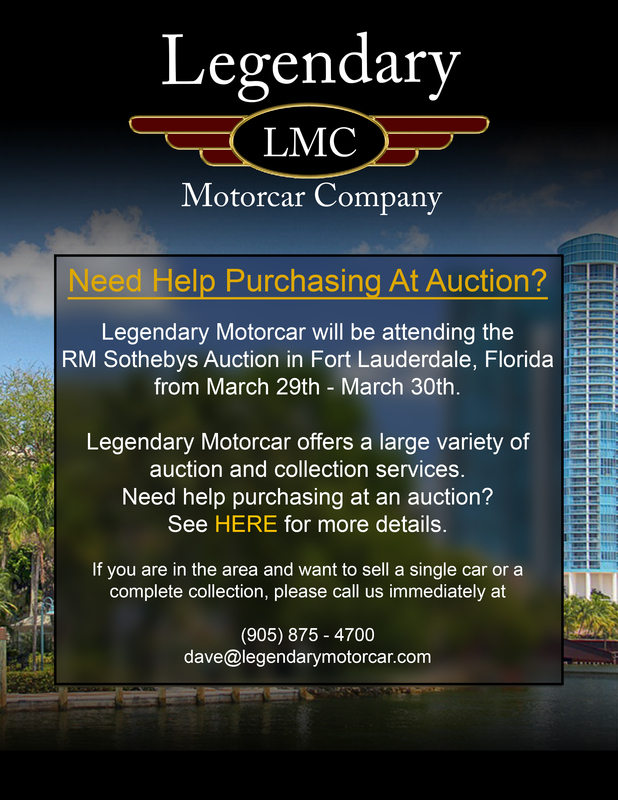 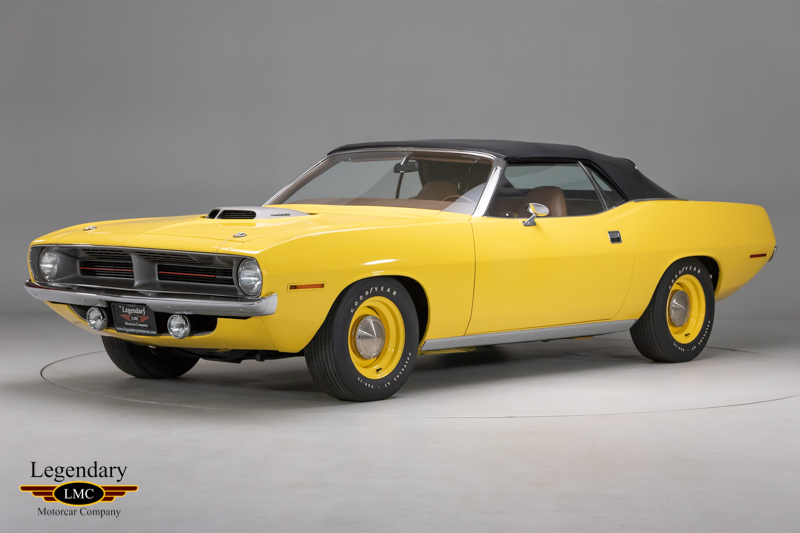 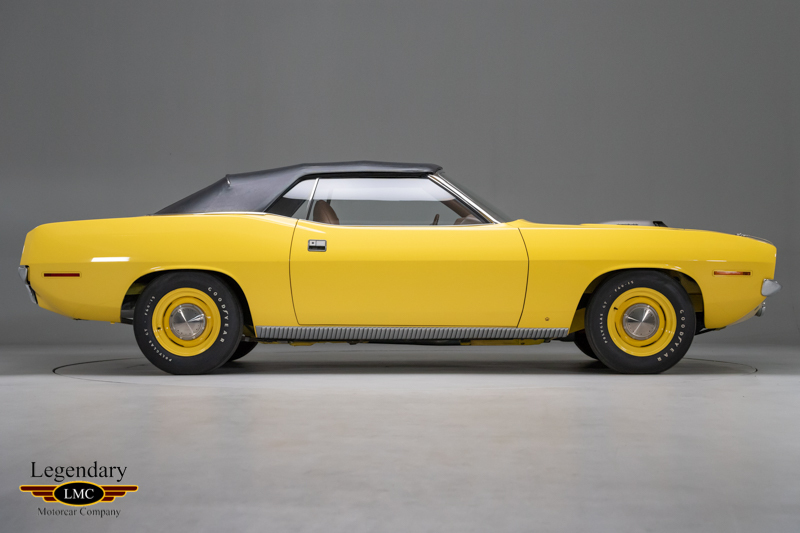 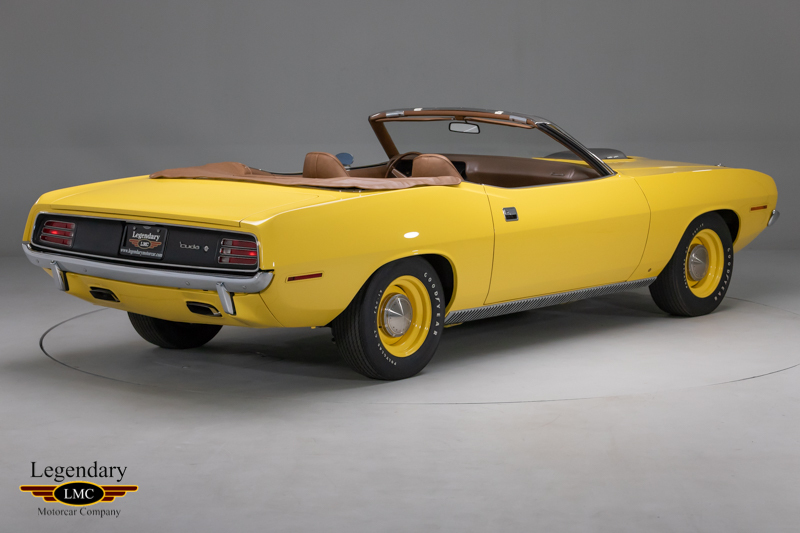 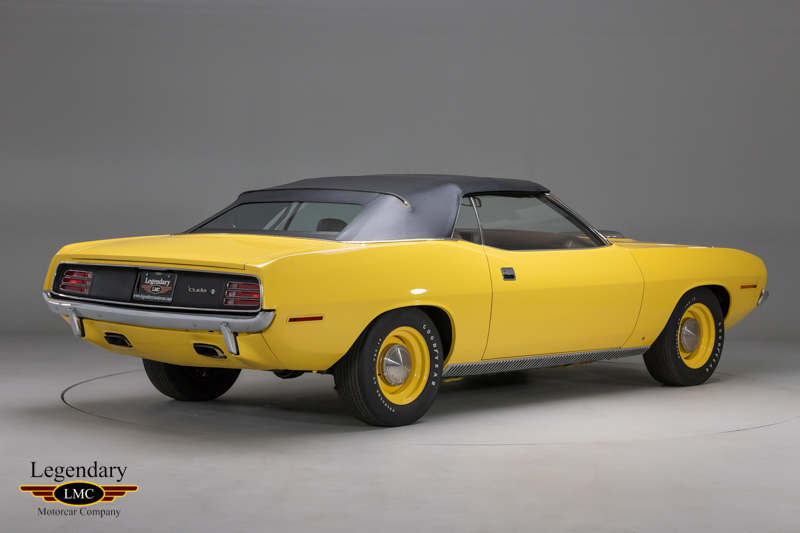 Legendary-Motorcar-Company-Ltd-2018-228 Plymouth 1970 Plymouth Cuda HEMI Convertible 2018-228 0 Legendary Motorcar Company Ltd.